Domenico is a visual designer working between visual design and human-computer interaction, with a keen interest in breaking computing out of the screen. Currently undertaking a PhD under the supervision of A/Prof Tim Dwyer and Prof Jon McCormack of the Faculty of Information Technology and Dr Vince Dziekan of Faculty of Art, Design and Architecture (MADA). 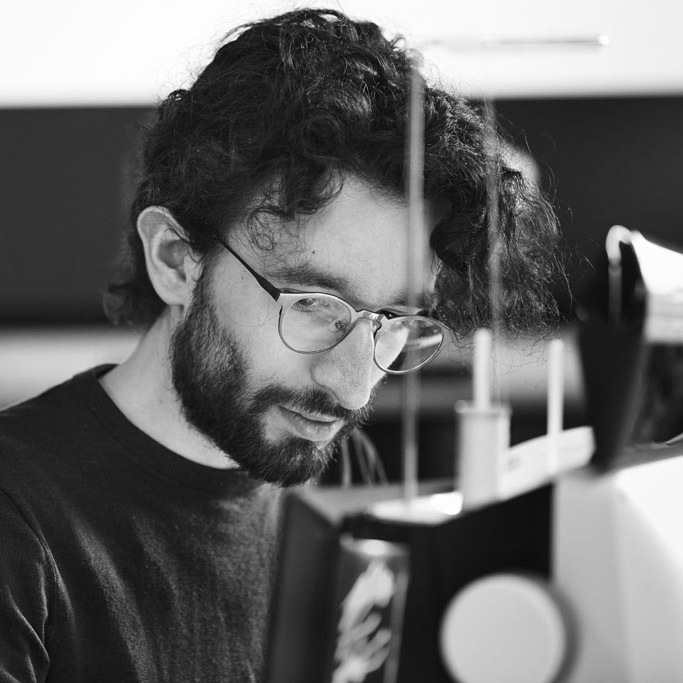 Domenico’s research is focused on improving the memorability of interactions with computers by developing speculative designs for a future where perfect augmented reality allow our whole bodies and environment around us to compute. Alongside research, Domenico is also a sessional design teacher at MADA. Domenico is currently working on his self-initiated speculative Computational Costume project.